From the author of FEAST and REINHEIT comes a collection of 9 dark fiction stories inspired by the works of H.P. Lovecraft. They Came to Gordium an elderly man is haunted by the crimes of his past. Immolate a widower detective struggles to solve the connection between a series of eerily similar suicides. Sunnydale Wolves a romantic stop at a popular overlook turns deadly. 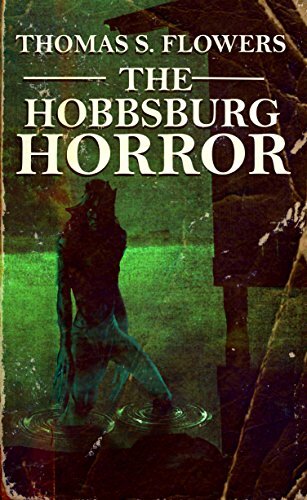 The Hobbsburg Horror is a Lovecraftian tale of a weary reporter pulled into an otherworldly story of murder and a lodge with reports of strange colors at night. Hobo a well-to-do housewife’s picture-perfect life is shattered by a home invasion. Are you hungry, dear? down on his luck divorcee Jacob Miller, after consuming a free pizza is possessed by an internal parasite. From the Sea is a tale of an amateur sailor and his wife who are besieged by creatures that come from the sea during a storm. Neon Fortune Teller Madam Drabardi reads the future of paranoid businessman Ronald Murray who believes his wife is cheating on him, but infidelity is not all Drabardi sees. Nostos Katherine Adonis journeyed light years to escape the nightmares of her past, but some ghosts can never be escaped.